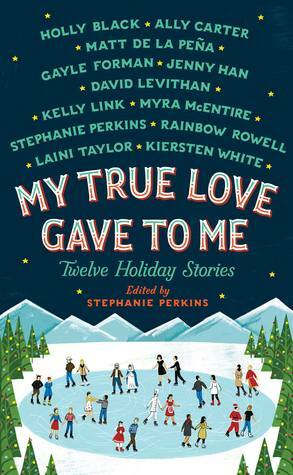 My True Love Gave To Me is a book, edited by Stephanie Perkins, containing 12 winter romances! This was my Christmas present, and I was so excited to read this book, especially during Christmas! I was definitely not disappointed by the book! with whom she slowly falls in love with. The story revolves around each New Year's Eve they spend together. It's cute and sweet. I was captivated by the plot straight away. From the beginning, you can tell it's going to be a great story. 2. The Lady and the Fox by Kelly Link. It was a nice story, but the writing wasn't as captivating as it could've been. 3. Angels in the Snow by Matt de la Peña was epic. It started strongly, and ended strongly. It's not your cliché love story, but the main character was definitely someone you could relate and sympathise with. Of course, Haley was awesome. You can tell those two are in loooove! 5. It's a Yuletide Miracle, Charlie Brown by Stephanie Perkins absolutely warmed my heart. The characters were really unique, especially North. It's not everyday a guy comes and helps you rearrange your apartment and life, for that matter. 6. Your Temporary Santa by David Levithan was quite good. The style of writing was nice, and it was quite funny. It isn't your average Christmas romance, so *winks*, get ready. 7. Krampuslauf by Holly Black was interesting. I've seen reviews about her writing, and they were pretty mixed as well. Apart from the title (that my brain found confusing to pronounce - or that's just my limited vocal chords), the story was okay! 8. What the Hell Have You Done, Sophie Roth? by Gayle Forman was an okay read. I have ready other books by her: If I Stay and Just One Day. Her writing is fabulous! The plot was well though out, just... I took longer than expected. 9. Beer Buckets and Baby Jesus by Myra McEntire was pretty interesting. The characters were likeable and so was the plot. 10. Welcome to Christmas, CA by Kiersten White was amazing. Maria works at a restaurant, and they just hired a new chef. She's experiencing some family troubles, and the chef helps a lot. This story nearly made me cry buckets, especially the ending. It was so heart-warming an I re-read it twice! 11. Star of Bethlehem by Ally Carter was a very interesting story. There was also a touch of mystery, so it really brought forth the mood. 12. The Girl Who Woke The Dreamer by Laini Taylor was a really different story from the others. This seems to be set in some alternate universe where magic is everywhere. The title is also quite eye-catching and I loved the story. 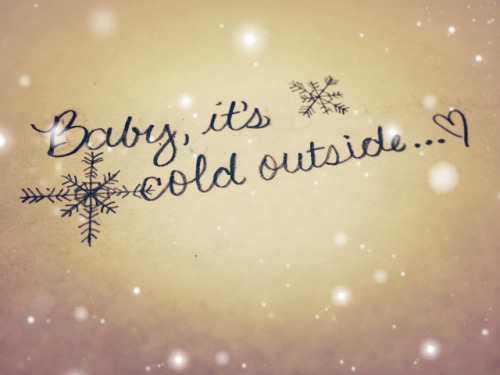 So, these 12 winter romances were absolutely amazing to read. I was sitting there, with my hot chocolate, devouring the book. And it was the time of my life! This is one of the best books to read during the winter, and you can also find this book on my Winter Recommendations post!